The first season five trailer for Fear The Walking Dead goes from hopeful to ominous and reveals a second Walking Dead crossover character. AMC released the first season 5 trailer for Fear the Walking Dead at their Wondercon panel today and it features moments both light and dark — cats and beer and talk of accordions along with death, destruction, and some gnarly looking zombies. 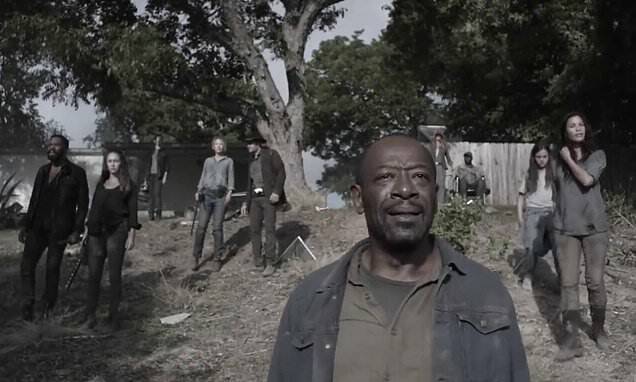 But it is the appearance of two key figures that steal the show: the long-awaited return of Daniel Salazar and the first crossover appearance of The Walking Dead‘s Dwight. As The Walking Dead season 9 comes to a close this Sunday, AMC is looking ahead with new announcements coming out of WonderCon in Anaheim, Calif. That includes the premiere date and plot details for Fear the Walking Dead season 5, as well as the first trailer for Zachary Quinto’s new horror series NOS4A2.